For decades, magazines have played a big role in the lives of millions of people throughout the world. Whether a trade magazine or one that spans a wide range of topics, magazines have long been seen as a great opportunity to reach a wide range of readers. For businesses in Plymouth, magazines are one of the most effective ways to advertise your products and services to your target market. 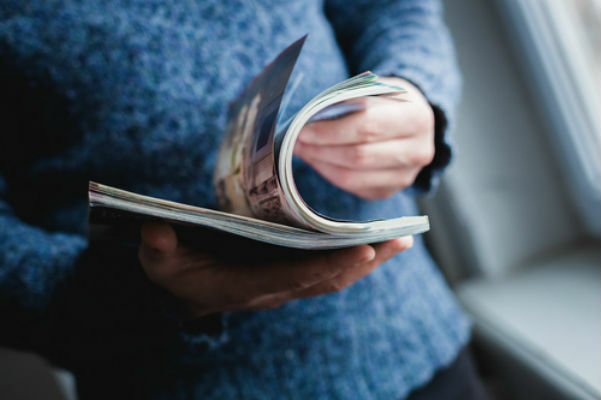 To give you a better idea of just how beneficial this can be, here is a look at some of the main benefits of magazine advertising. (1) Magazines generally have a longer life than other types of press advertising. The results of such advertising can be spread over an extended period as magazines are often preserved and filed by the readers. (2) The interesting nature of the articles and stories appearing in the magazine makes the magazine a semi-permanent medium for advertising. (3) The number of advertisements also serves as an index to the popularity of the magazine. (4) The superior paper used in magazines also makes it possible for the advertisements to be attractive. One of the most significant benefits provided by magazine advertising in Plymouth is the fact that it makes it much easier to reach your target market. With other print-based advertising options, it can be difficult to generate demographics about the specific readers. With magazines, on the other hand, you have a very clear demographic of people that are reading the publications on a regular basis. One of the biggest challenges that advertisers and marketers face is that of getting and staying in front of their target market on a consistent basis. Advertising in magazines allows you to do just that. Another major benefit of advertising in Plymouth magazines is that it is a fairly cost-effective option. When advertising in a large newspaper publication or other print selection, you are forced to pay a premium when it comes to getting in front of the wide range of readers that they have. The problem with this, however, is that a large majority of those readers have absolutely no interest in the products or services that you are advertising. When advertising in magazines, on the other hand, you are paying to have your products and services advertised in front of readers that may actually have a potential interest in what you have to offer. Yet another reason that magazine advertising is beneficial is because it offers a much longer shelf life than what you will find with most other print-based publications. With newspapers, for example, your advertisement will generally only be seen for the day that it is actually published and current. Magazines are generally published on a monthly or weekly basis, which means they tend to stick around much longer on the coffee tables and desks of readers. In addition, many of the articles within the publication are timeless, which further raises the probability that your readers will see your advertisement for a longer period of time. Newspaper advertisements are often in black-and-white and are generally not very memorable. Magazine advertisements, however, are notorious for being printed in a high-quality manner where images and words can stand out from the rest of the material. One of the most difficult challenges of advertising is gaining the attention of your reader. Magazines make it much easier to do so, as they often have glossy paper that allows for significantly more creativity with the ad.